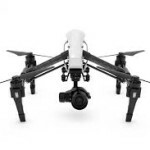 We have a very big aerial photography job that needs to be flown for a partner of Hire UAV Pro’s. it is about 1,300 acres and is about 1 hour north east of LA. It is rural farm land that is being developed as a solar farm, so no surrounding obstructions. We would need 400′ nadir images at 80% overlap. It would be a large amount of images, somewhere around 5,000 photos. A fixed wing would be best, but could be accomplished with a multi-rotor. Flying done in the next 3-6 weeks. Please describe expertise you have with jobs of this magnitude in your bid. Budget: Unspecified as of yet.